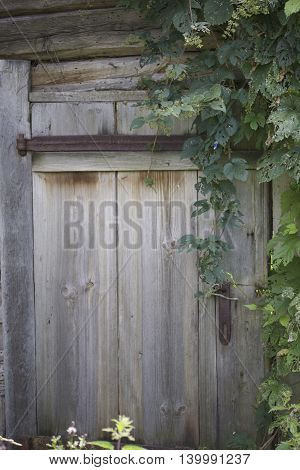 Door in old abandoned wooden barn. Boards fastened with iron wrought-iron hinges. Overgrown with ivy.